On Monday, January 20 2018, I share my prayerful thoughts with Goddess Sarasvati on Her birthday as per Indian tradition. I need heart that can understand, I need eyes that can see, and I need ears that can hear God’s plan for my mortal existence. As Diwali--the festival of light–is to Lakshmi, goddess of wealth and prosperity; and as Navratri is to Durga, goddess of power and valor; so is Vasant Panchami to Sarasvati, the goddess of knowledge and arts. This festival is celebrated every year on the fifth day (Panchami) of the bright fortnight of the lunar month of the month of Magha, which falls during the Gregorian period of January-February. The word "Vasant" (or "BASANT") comes from the word "spring," as this festival heralds the beginning of the spring season. It is believed that on this day, goddess Sarasvati was born. Hindus celebrate Vasant Panchami with great fervor in temples, homes and even schools and colleges. Sarasvati’s favorite color, white, assumes special significance on this day. Statues of the goddess are dressed in white clothes and are worshiped by devotees adorned with white garments. Sarasvati is offered sweets that are given away as prasad to all people attending the ritual worship. There is also a custom of ancestor worship, known as Pitri-Tarpan in many parts of India during Vasant Panchami. 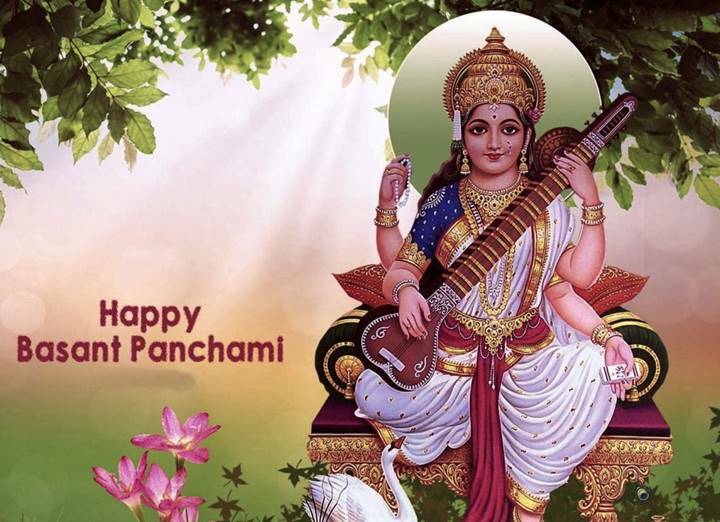 The most significant aspect of Vasant Panchami is that it is also the most auspicious day to begin laying ones foundations of education–of how to read and write. Pre-school children are given their first lesson in reading and writing on this day, and all Hindu educational institutions conduct special prayer for Sarasvati on this day. It is also a great day to inaugurate training institutes and new schools–a trend made famous by the renowned Indian educationist, Pundit Madan Mohan Malaviya (1861-1946), who founded the Banaras Hindu University on Vasant Panchami day in 1916. During Vasant Panchami, the advent of spring is felt in the air as the season undergoes change. New leaves and blossoms appear in the trees with the promise of new life and hope. Vasant Panchami also announces the arrival of another big springtime event in the Hindu calendar–Holi, the festival of colors. Das, Subhamoy. 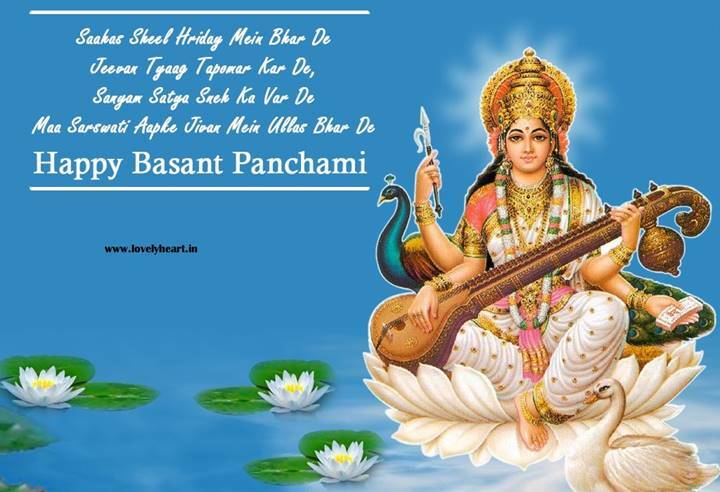 "The History of Vasant Panchami, the Birth of Hindu Goddess Saraswati." ThoughtCo, Oct. 12, 2017, thoughtco.com/vasant-panchami-1770222. Das, Subhamoy. (2017, October 12). 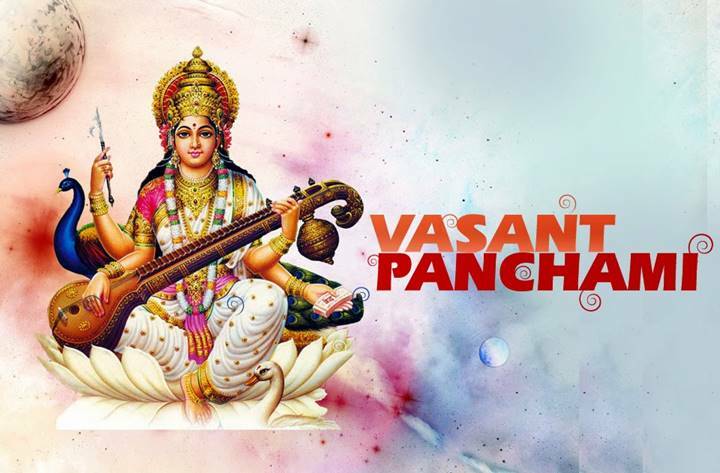 The History of Vasant Panchami, the Birth of Hindu Goddess Saraswati. Retrieved from Das, Subhamoy. "The History of Vasant Panchami, the Birth of Hindu Goddess Saraswati." ThoughtCo. (accessed January 22, 2018).